Here’s the latest blog post from our CAN matching specialist, Hilary. Hilary is currently traveling with a team from CAN to visit both Poland and Bulgaria in order to meet with adoption centers and visit orphanages. If your family is interested in adopting a child or sibling group from Eastern Europe and you’re interested in learning more about these programs, visit our Poland and Bulgaria pages to learn how you can begin your adoption journey! Traveling abroad teaches you a lot of things; you learn to step out of your comfort zone, taste different foods, experience new cultures and along the way maybe you learn a lot about yourself too. Now, try traveling across the country to meet orphans. These children live a life of vulnerability every single day, and every single time someone unfamiliar walks into the room they light up with excitement because they know you are either a family or you are there to help them find one…In this state, you too become extremely vulnerable. You experience emotions you may not have thought possible and you learn about a sense of determination within yourself you may not have otherwise known. This determination is ignited to find them a forever family. Traveling to Poland has been my first time to Europe and my second set of orphanages to visit internationally – and I have felt extremely vulnerable the entire trip. The many meetings I have attended I need a translator because I do not understand their language, getting from A to B can be very difficult because I know nothing about subway systems let alone in another language, everywhere I go locals can tell I am not from here, I am starving at random hours, walked 28 miles this week alone and I am exhausted..extremely exhausted. So, now I put myself in an orphaned child’s shoes, shoes which usually are too small or completely worn out. Every time they meet someone like me who is new they most likely don’t understand the language I am speaking, I look different and maybe even act differently. They want to show me everything, tell me everything, and they want to be in every photo I take. Without me telling them that I traveled across the pond just to meet them face to face they already know why I am here. The first orphanage I traveled to I met a sibling group of three. They have been deemed available for international adoption for sometime now and the director said on the way to meet them that they have given up hope of ever finding a family. The children are older and this unfortunately tends to shy a large majority of families away. As we pulled up to the orphanage the same nauseous feeling always appears as the anticipation of meeting the children rises. We climbed up several flights and I was introduced to another woman who said the children were held back from school and knew someone special was coming to see them(no pressure!). I walked through the center doors and they came running and leaping onto the couches. All three blonde headed and blue eyed cuties. They eagerly shook my hand and sat back down. Engaging with these kids is everything. ALL three of them are amazing. They are so funny, extremely intelligent, and truly want a forever family. However, they know because they are older the chances for them getting a family is slim – and now it’s my job to change that. If we could all make ourselves a little more vulnerable, speak up, and advocate for others who cannot speak for themselves imagine what a difference we would see in the world. 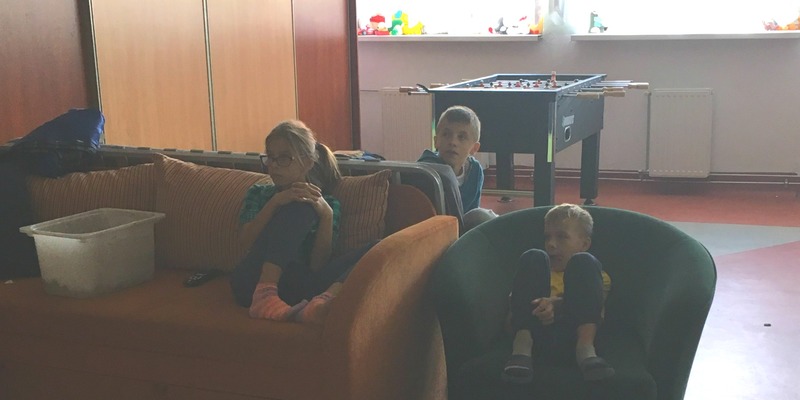 If you’re interested in learning how you can adopt a child or sibling group from Poland, contact hilary@childrenofallnations.com or visit our Poland adoption page today!